ATLOS is Loan Application Software that allows lenders to collect and store loan data, fill and e-sign forms, manage documents, and much more. Lenders using ATLOS can completely eliminate paper, resulting in greater efficiency, lower costs, and reduced risk. You will receive an email confirmation from info@atlos.com. Please check your spam folder if you do not receive this email. Tired Of All The Paper? 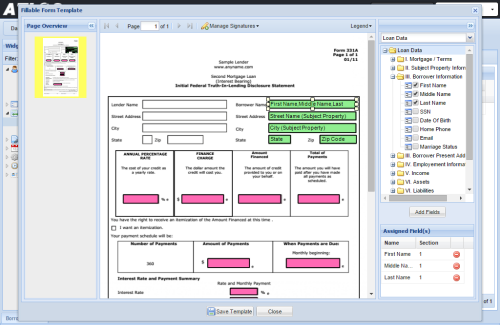 Lenders processing loan applications using ATLOS can eliminate paper waste by storing their borrower's loan documentation in a central secure online repository. ATLOS is Web-Based Loan Software used for storing loan data and documents while processing a loan application. 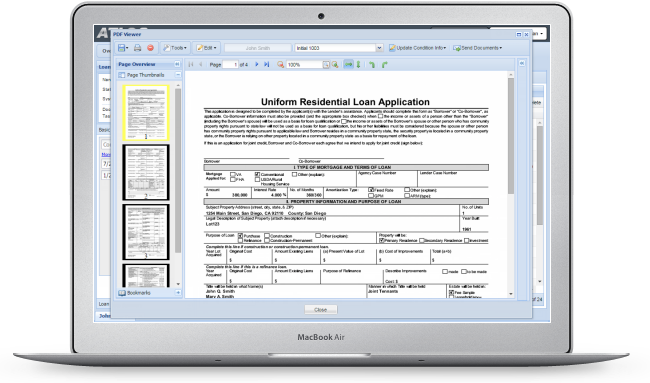 Lenders, such as mortgage companies and banks, can easily collect, store, and share all loan documentation. Processing Loan Applications with ATLOS can increase productivity, while reducing errors, fraud, and other risk. Lenders using ATLOS often reduce costs by as much as 17%, while processing Loan Applications 20% faster. ATLOS is web-based and hosted. This means that you don't have to purchase hardware, or install loan software. You simply login from our website, and you have instant access to all of your borrowers loan data and documents. 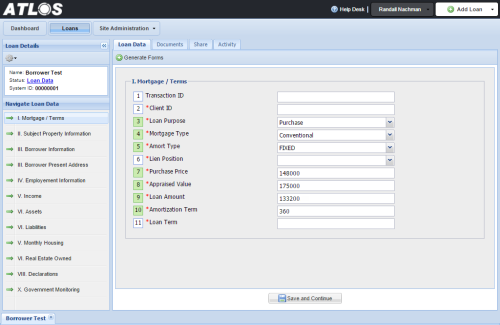 Easily customize our web forms to store any type of loan data in your own personal ATLOS database. Data stored within ATLOS can be used to fill PDF forms, drive rules, and more. Import any fillable PDF, and quickly map it with data from your ATLOS Web Form fields. Create digital signature fields within your forms, and allow any number of signors to electronically sign documents online. 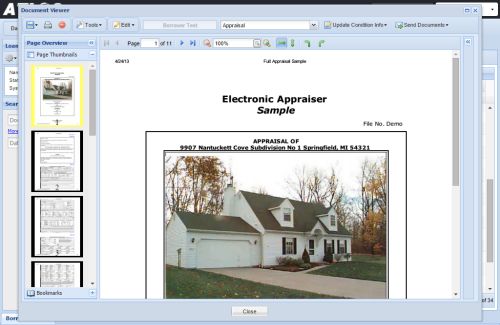 Upload and Store all supporting documents with the ability to view, edit, annotate, merge, and extract pages. No third party software required. ATLOS provides a document recognition engine that can automatically identify and sort your disclosure documents and other various credit documents. 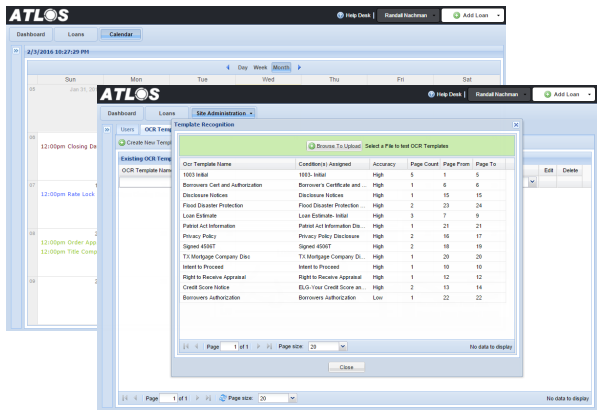 In Addition, ATLOS provides a dashboard, task management, reports, user permissions, notifications, and a comprehensive audit log. Click the Sign Up Now button if you are ready to go Paperless today. If you need more information or would like to schedule a demonstration please click the Contact Us button below. All of Your Information is Hosted in our Secure Tier 4 Data Centers. Never again will you need to install software. All you need is an internet connection and you're ready to go. ATLOS servers are hosted within a tier 4 data center, which offers the highest level of security and redundancy. The data center has 24x7x365 on site security and monitoring. ATLOS performs nightly backups, on disk, both on site and at a secure remote location. In order to minimize recovery times, ATLOS creates a nightly virtual server image, which is stored on external hard drives. If required, this virtual image can be restored to active production in less than 2 hours. These are just a few of the reasons why our clients choose to host their loan data and documents with ATLOS.